Should you have had earthquake damage insurance on your Southcentral Alaska home? Not necessarily. Homeowners around Southcentral Alaska are wondering about earthquake insurance after Friday’s magnitude 7.0 temblor. But earthquake coverage is expensive, it’s usually not included in homeowners insurance and can cost as much as the insurance itself. Not many people have it. An estimated 15 percent of homeowners statewide buy earthquake insurance, said Lori Wing-Heier, director of the state’s Division of Insurance. “It’s not a great number,” she said. There are two main reasons people don’t buy it, she said: high costs, and the fact that it’s not required by lenders. 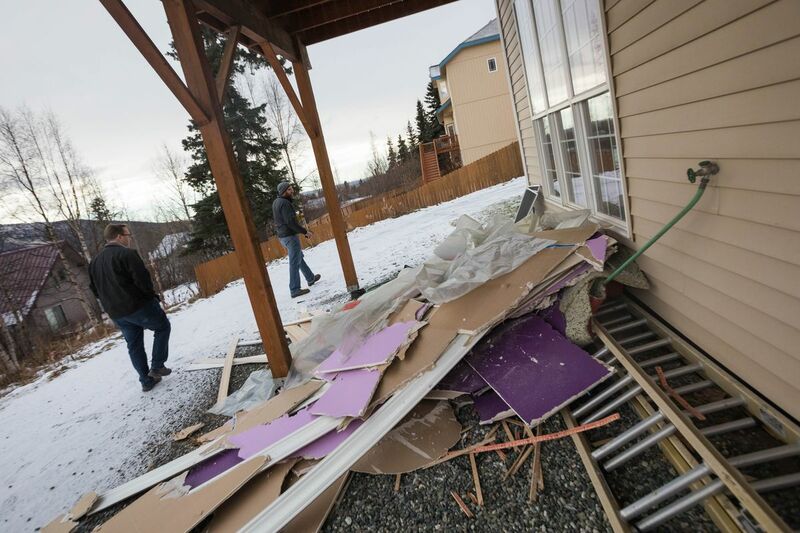 Then there’s the deductible, which varies but can be about 20 percent of the value of the dwelling, said Tracey Parrish, owner of Alaska Pacific Insurance Agency. Plus, the longer the time span between big earthquakes, "the less likely people are to pay a premium for it,” Wing-Heier said. Still, she said, people whose homes were damaged by the quake should call their insurance provider to make sure they understand whether there’s anything in their policy that can help them. Don’t jump to conclusions about what’s covered and what isn’t, she said. Earthquake insurance typically covers repairs needed because of damage like cracking, and may cover structures such as garages too, said Janet Ruiz, a West Coast representative for the Insurance Information Institute, a trade group. It also usually insures your personal property for earthquake damage and might cover other costs. 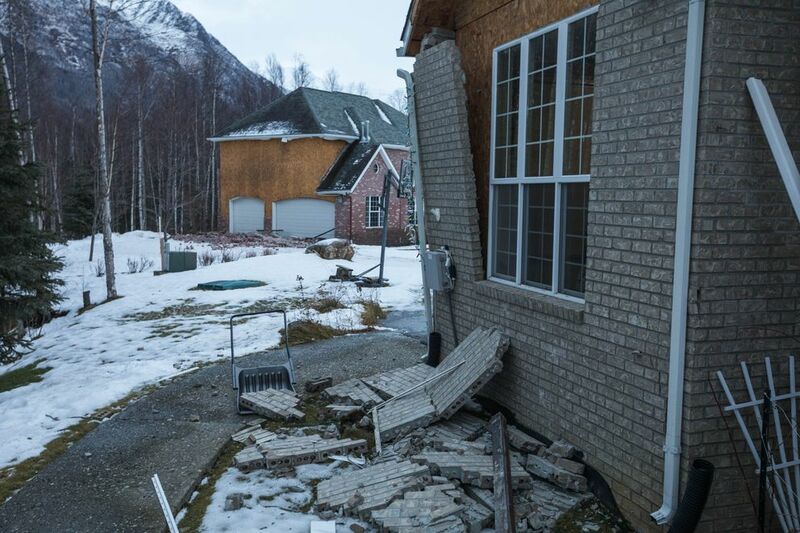 John Lane decided against buying earthquake insurance for an Eagle River home he and his family moved into three months ago. With an annual premium of $1,300 to $1,500 for homeowners insurance already, they couldn’t justify spending another $1,000 for quake coverage, he said. Their deductible would still have been around $70,000, he said. “This was a hard decision, buying a house in a seismic zone, but we just couldn’t afford that,” Lane said. They have lots of repairs to tend to after Friday’s earthquake, he said, and they plan to have a structural engineer examine the property. There are resources that can help homeowners defray the costs of repairs. Residents of Anchorage, the Matanuska-Susitna Borough and the Kenai Peninsula may be eligible for recovery funding. People can apply for assistance grants at ready.alaska.gov. Often after natural disasters, help is available from the Federal Emergency Management Agency and, for businesses, the Small Business Administration, said Ruiz. Renters who have renters insurance policies should call their insurance agents if there was damage to their belongings, Wing-Heier said. If you’re thinking about getting earthquake insurance now after experiencing Friday’s quake, you likely won’t be able to. There’s a moratorium on selling earthquake policies for several weeks, said Parrish. The deductible for earthquake coverage is so pricey, Parrish said, she doesn’t have it on her own home. At her agency, about 3 percent of her customers have it, she estimated. Ruiz recommends that people buy earthquake insurance. As the owner of an insurance company, Parrish said earthquake coverage “just seems unfair” to her.